Write a Book in a Day | Record number of teams registered from one teacher! Home > News > Record number of teams registered from one teacher! Record number of teams registered from one teacher! Tassie teacher registers 39 teams in the annual Write a Book in a Day comp. When Doug Grubert saw what was going on at Scottsdale High School in 2011 he decided it was an opportunity that more children should have. 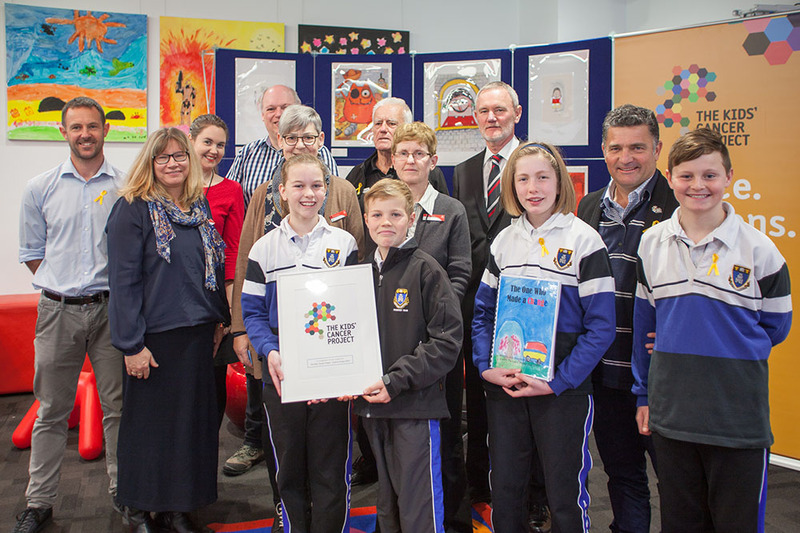 Two teachers at that school in Tasmania were facilitating Write a Book in a Day, an annual national competition which challenges students in Years 5 and up (and adults too) to write a children’s story in one twelve hour stretch. Kids in hospital receive the completed books and an additional fundraising element of the event supports childhood cancer research. So inspired by what he witnessed that day, Doug has been on a mission to extend this unique competition to more students. This year he is set to more than double the number of teams he registered in 2017. Doug is based in Launceston and is focussing his efforts on getting as many people involved in northern Tasmania as possible – both on and off shore. The things that motivated Doug to engage in Write a Book in a Day were that it is an educative activity, both intellectually and socially. “The fact that young people are invited to write books to be placed in children’s' hospitals and that they’re also raising money for kids with cancer contributes to the authenticity of this program,” Doug said. “The world can be seen as a very superficial place at times, especially through social and mainstream media. There is a need for us to model character strengths that demonstrate care, concern, charity and empathy,” he said. So is Doug issuing a challenge to see if another school can top his record? - Read more about Doug and his experience in this exclusive Q & A. - Doug shares 11 tips on running a successful Write a Book in a Day.